A guide to using drones to study wildlife: first, do no harm! Technological advances have provided many benefits for environmental research. 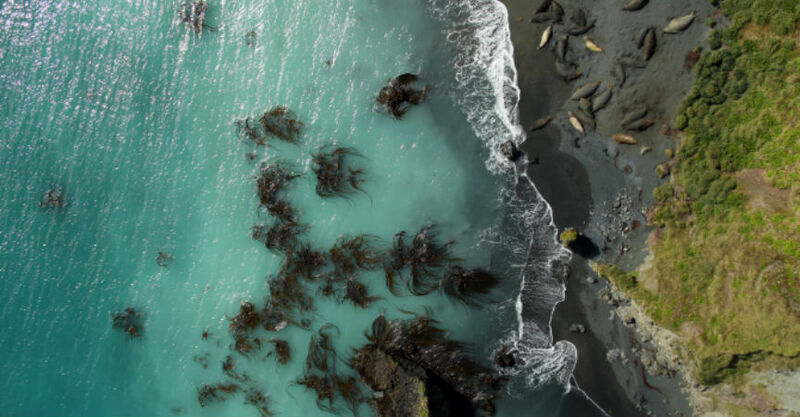 Sensors on southern elephant seals have been used to map the Southern Ocean, while tracking devices have given us a new view of mass animal migrations, from birds to zebras. Miniaturisation of electronics and improvements in reliability and affordability mean that consumer drones (also known as unmanned aerial vehicles, or UAVs) are now improving scientific research in a host of areas. And they are growing more popular for wildlife management, as well as research. Wildlife drones can be used in many different ways, from small multi-rotor units that can scare invasive birds away from crops, to fixed-wing aircraft that fly above rainforests to spot orangutan nests. UAVs have also been shown to provide more precise data than traditional ground-based techniques when it comes to monitoring seabird colonies. Other industries, from mining to window-cleaning, are looking at using drone technology. Some forecasts predict that the global market for commercial applications of UAVs will be valued at more than US$127 billion. Given their usefulness in the biologist’s toolkit, the uptake of UAVs for environmental monitoring is likely to continue. But this proliferation of drones raises questions about how best to regulate the use of these aircraft, and how to ensure that wildlife do not come to harm. Biologists carrying out field studies are typically interested in animals’ natural state, or how their behaviour changes when conditions are altered. So it is important to know whether the UAVs disturb the animals and, if so, exactly how. Of course, different species in different environments are likely to have very different responses to the presence of a UAV. This will also depend on the type of UAV and how it is used. Our current understanding of wildlife responses is limited. A team of French and South African biologists observed the reaction of semi-captive and wild birds to UAVs. They found that the approach angle had a significant impact on the birds’ reaction, but approach speed, UAV colour and flight repetition did not. In polar regions, where UAVs may be particularly useful for sampling inaccessible areas, researchers found that Adélie penguins were more alert when a UAV was in range, particularly at low altitudes. These studies, and similar observational studies on other animals besides birds, provide an initial understanding of wildlife behaviour. But the animals’ behaviour is only one aspect of their response – we still need to know what happens to their physiology. Cardiac bio-loggers fitted to a small number of free-roaming American black bears in northwestern Minnesota have shown that UAV flights increased the bears’ heart rates by as much as 123 beats per minute. Even an individual in its winter hibernation den showed stress responses to a UAV flying above. Interestingly, the bears rarely showed any behavioural response to the drones. This shows that just because animals do not appear visually disturbed, that doesn’t necessarily mean they’re not stressed. We have developed a code of best practice, published today in the journal Current Biology, which seeks to mitigate or alleviate potential UAV disturbance to wildlife. It advocates the precautionary principle in lieu of sufficient evidence, encouraging researchers to recognise that wildlife responses are varied, can be hard to detect, and could have severe consequences. It also provides practical recommendations. The code encourages the use of equipment that minimises the stimulus to wildlife. Using minimum-disturbance flight practices (such as avoiding threatening approach trajectories or sporadic flight movements) is advised. The code also recognises the importance of following civil aviation rules and effective maintenance and training schedules, and using animal ethics processes to provide oversight to UAV experiments. The code isn’t just food for thought for biologists. It is relevant to all UAV users and regulators, from commercial aerial videographers to hobbyists. Unintentionally or otherwise, such users may find themselves piloting drones close to wildlife. Our code urges the UAV community to be responsible operators. It encourages awareness of the results of flying in different environments and the use of flight practices that result in minimum wildlife disturbance. As researchers continue to develop and refine UAV wildlife monitoring techniques, research that quantifies disturbance should be prioritised. This research will need to be multi-faceted, because responses could vary between species or individuals, as well as over time and in different environments. Greater knowledge could help us to draw up species-specific guidelines for drone use, to minimise disturbance on a case-by-case basis. UAVs are a useful wildlife monitoring tool. We need to proactively develop and implement low-impact monitoring techniques. Doing so will expand our technological arsenal in the battle to manage Earth’s precious and increasingly threatened wildlife.